Page Street Publishing, 9781624140747, 208pp. 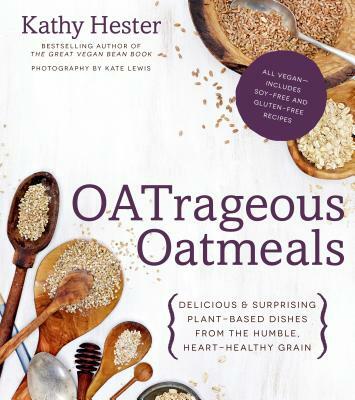 Say goodbye to boring oats and bland mix-ins because bestselling author Kathy Hester shows you delicious and exciting new takes on everyone's favorite health food with Banana Oatmeal Cookie Pancakes, Hummingbird Cake Oatmeal, Chai-Spiced Oat Shakes and Blackberry Mojito Overnight Refrigerator Oats. And she doesn't stop there. Savory recipes like Mushroom Sun-Dried Tomato Steel-Cut Oat Risotto, Oats-bury Steaks, Not-from-a-Box Mac and Oat Chez—even a healthy vegan sausage crumble made from steel-cut oats and spices—will wow oatmeal fans with new and nutritious dishes to try.